We know how busy you are. 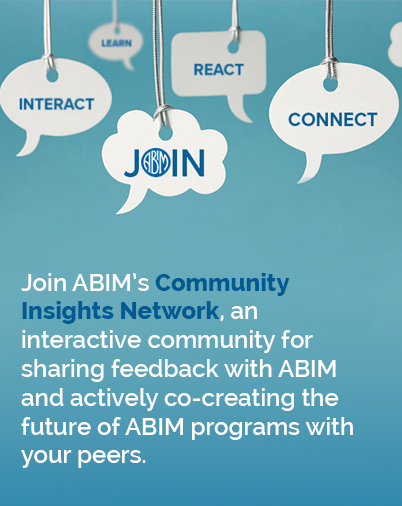 That’s why we’ve created this new quarterly newsletter to keep you informed about ABIM news, share insights from your fellow doctors and let you know about opportunities to get involved with ABIM. We hope you find it helpful, and thank you for all you do as an important member of the ABIM physician community. 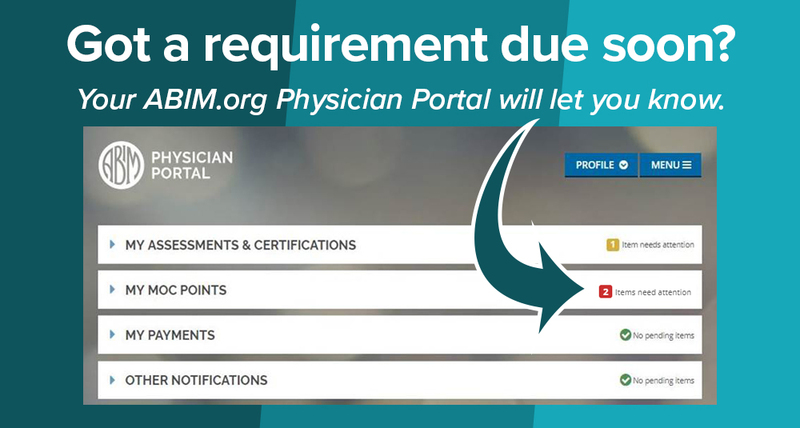 This year, it is particularly important to sign in to abim.org to check your Physician Portal as many board certified physicians have MOC program requirements due by the end of this year. Requirements that can change your certification status if not completed by 12/31/18: Assessments Pass an MOC exam within 10 years of when you last passed. Remember, if you were unsuccessful on your assessment attempt in 2018 but you meet all other MOC requirements by 12/31/18, you will remain certified in 2019. Just be sure to register for your MOC exam in 2019. Points Earn 100 MOC points every five years. There are many activities that earn points, and you can choose from ABIM’s own activities, CME activities or QI/PI activities. Earning points may be easier than you think! Watch this short two-minute video on how two members of ABIM’s Board of Directors earned their points this year: Attestations If you hold a certificate with a procedural or encounter requirement, don’t forget to complete your attestation. The only way to know for sure when your requirements are due is by signing in to abim.org and checking your Physician Portal. Beginning in 2019, physicians who let a certificate lapse will be able to meet their assessment requirement by passing two consecutive Knowledge Check-Ins when it becomes available in their specialty. 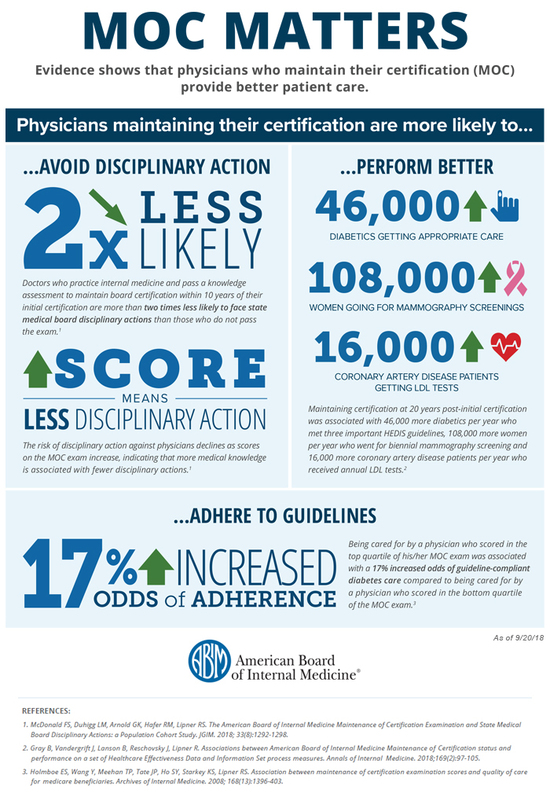 This new policy is a direct result of feedback ABIM received from the physician community. Many physicians have told ABIM they would like to take the Knowledge Check-In but were unable to because the former policy required a diplomate to be certified to be eligible. The Board of Directors and Council agreed that the Knowledge Check-In should be available as a re-entry pathway for all physicians that would like to take it. In an effort to reduce complexities across the MOC program, ABIM will allow diplomates to meet their 100 MOC point requirement using any combination of Medical Knowledge and Practice Assessment points. 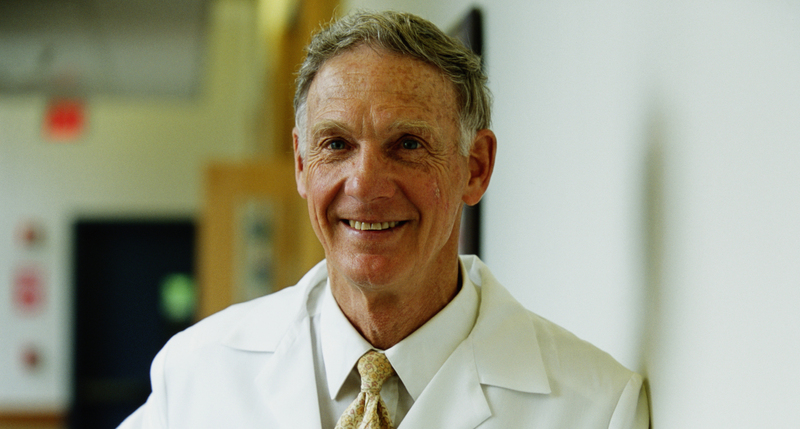 This means physicians are no longer required to earn at least 20 points in Medical Knowledge. ABIM’s website and Physician Portal will be updated soon to reflect the simplified requirement. Diplomates will have until 12/31/18 to pay their 2018 annual program fee at the current $155 rate – as well as the option to pre-pay future years in advance at a 20% discount on each pre-paid year, as well as the current one. An additional $20 will be added to the program fee if it is paid after the year in which it was due. For example, if you pay the 2018 program fee after 12/31/18 it will be $175. Exploring opportunities with professional societies to offer diplomates more options in meeting their assessment requirements. Overall feedback from diplomates has been positive, particularly around the flexibility of taking the exam online, and others shared an appreciation for the access to UpToDate®. A few physicians experienced technical issues, though it was fewer than in the spring, and for many they were resolved quickly and they were able to proceed with the KCI. Thousands more physicians are registered to take a KCI later this year, and eight additional specialties will roll out in 2019. Registration opens for all exams, including the traditional MOC assessment, on December 1, 2018.